Northern Trust (www.northerntrust.co.uk) is pleased to announce that it has acquired the 36,558 sq ft Keys Business Village in Cannock. Keys Business Village is a high quality multi-let office and industrial scheme, situated in Hednesford, 1.2 miles to the north of Cannock. Developed in 2008, the property comprises a modern industrial scheme of 8 units, with individual sizes ranging from 1,534 sq ft up to 2,685 sq ft; and a 3 storey office building totalling 19,459 sq ft. The office building is divided into two wings, connected by a central core incorporating reception and meeting room space, and individual suites are subdivided from 1 person (118 sq ft) up to 10 + people (1,101 sq ft). In the last 12 months, Northern Trust has added over 450,000 sq ft to its portfolio through new acquisitions in Widnes, Consett, Blackpool and various locations across Scotland. 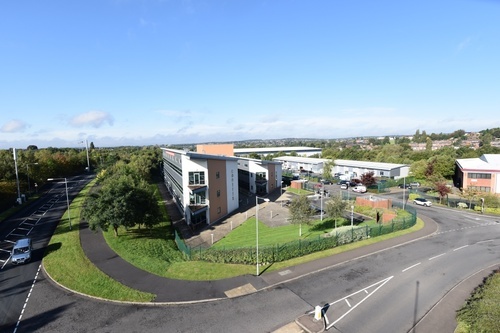 The Northern Trust portfolio now extends to over 7.6m sq ft in c 200 industrial, trade counter and office parks which extends from the South Midlands to the central belt of Scotland and is actively managed by their in-house surveying practice Whittle Jones Asset Management.